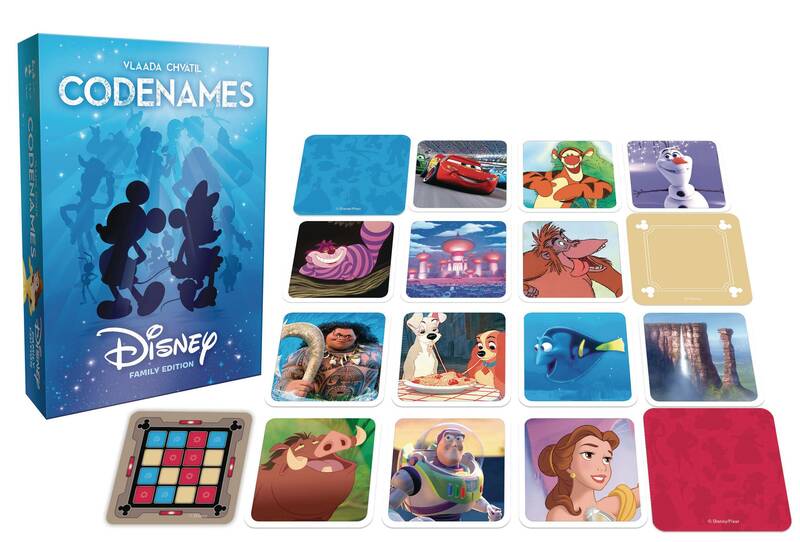 The Disney Family Edition of Codenames combines the hit social word game with some of Disney's most beloved properties from the past 90 years. Two Cluemasters give one-word clues to help their teammates identify the Disney characters, locations and items from a 25 card game grid. Including both pictures and words, it's family fun for Disney fans of all ages..